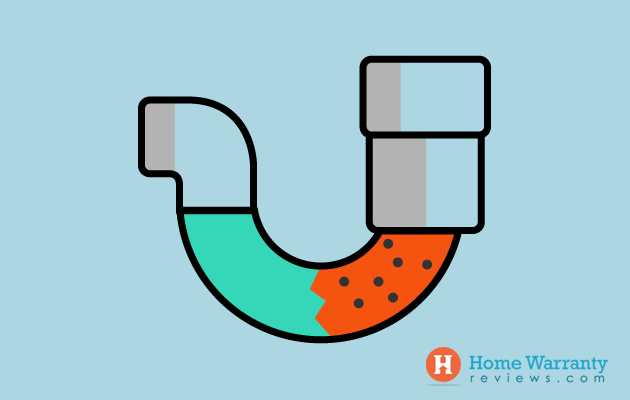 Home » Home Maintenance » How to Unclog a Kitchen Drain? A clogged kitchen drain is one of the most common plumbing problems you can face and can cause you a massive inconvenience. As long as you know how to how to unclog sink, it should no longer be a problem. The biggest cause for clogged kitchen sink is careless disposal of waste down the drain. Daily use debris like kitchen oils, eggshells, coffee grounds, etc, slowly collects in the drain pipes of the sink and it eventually gets clogged. Meat, foods that have a high starch content like potatoes, pasta, rice, etc, should not be thrown into the sink. Drain cleaners should be used to maintain your drain and prevent it from clogging. Drain cleaners can’t unclog your drain. If you use a drain cleaner in a clogged drain, the chemicals as well will get stuck in the drain pipe. This will make it dangerous for you to use a plunger or a drain snake (if required) as the chemicals can cause serious burns if they come in contact with your skin. You have quite a few options that you can use to unclog a kitchen drain. Depending on how bad the clog is, you will have to pick your mode of unclogging. Sometimes you will have to use a combination of different options as well. Here are 11 ways to clear a clogged drain starting from the simplest solutions for a clog and progressing to slightly more involved solutions to clear heavy stoppages. Caution: Don’t plunge or snake the drain if you’ve used a drain cleaner. The chemicals could splash on your skin and burn your skin. If you have a double sink, stuff the unclogged drain with a washcloth. This ensures that all the pressure is directed towards the clogged drain. Fill less than ½ of the sink with hot water. Make sure that the hot water at least crosses the ¼ th mark. If this does not remove the clog, then you need to try a different method. Let the disposer cool for a few minutes, then press the reset button at the bottom on the disposer and turn it on again. If you have a dishwasher, before plunging the drain, tighten a clamp over the flexible part of the drain line. This won’t let the dirty water flow back into the dishwasher cabinet. Just like how dish detergent cleanses the grease off your dishes, it will wash the grease off your drain pipe as well. 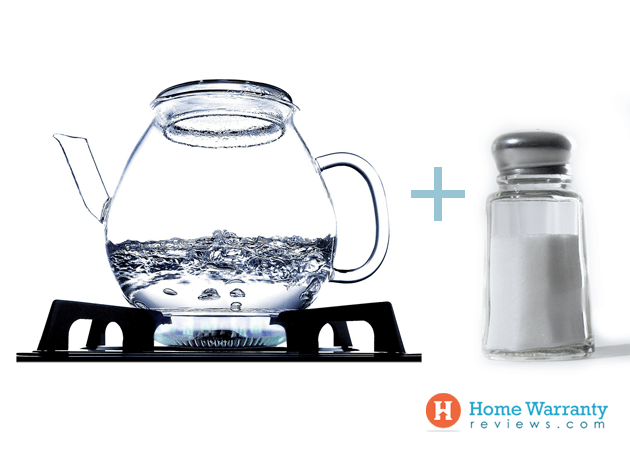 If this doesn’t work, try using salt, baking soda or vinegar. Salt can disintegrate substances that cause clogs. There are a few other combinations like these. You can try any one of them or even all of them if the clog is severe. 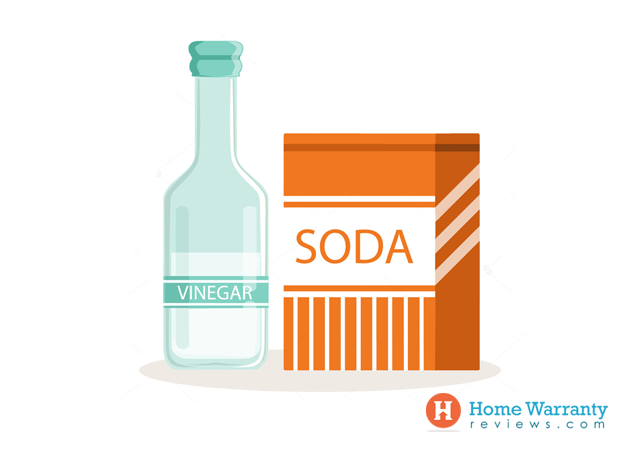 Salt and baking soda, both have the ability to unclog drains by eating into grease deposits. Repeat the process if it doesn’t work the first time. 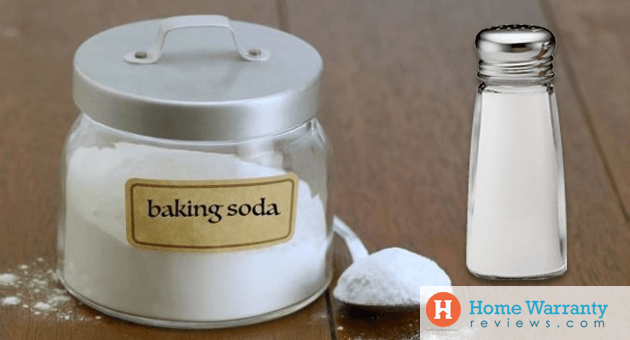 The combination of baking soda and vinegar can eat into oil and grease deposits. If the sink is still clogged, follow the same steps once more. Sometimes waste gets deposited in the trap and this causes a clog. If the water still doesn’t drain, use the next method as you now know that the clog is in a more difficult to access part of the drain. The drain snake is used to clear stubborn clogs that are located further down and are much deeper into the drain pipe. Pour a mixture of ½ a cup baking powder and ½ a cup vinegar down the sink and let it sit for 15 minutes. This should clear fragments of the clog that are left behind. Then flush the sink with hot water. 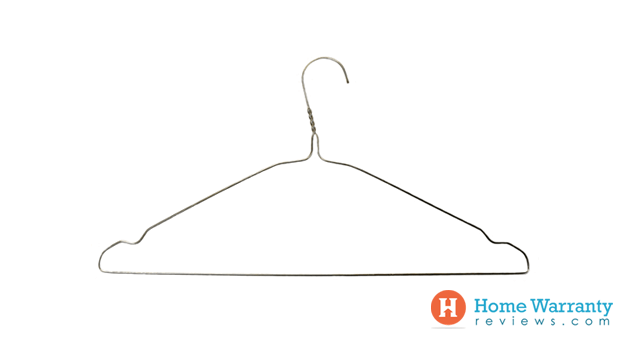 You can use a metal hanger instead of a drain snake, if you don’t have one. It definitely isn’t as effective, but it can clean clogs that are slightly into the stub pipe. A wet and dry shop vacuum can be a great tool to clear/unclog a drain. However, it doesn’t always work. This isn’t an assured solution if the clog is positioned deep inside the stub pipe. But it’s definitely a shot worth trying. 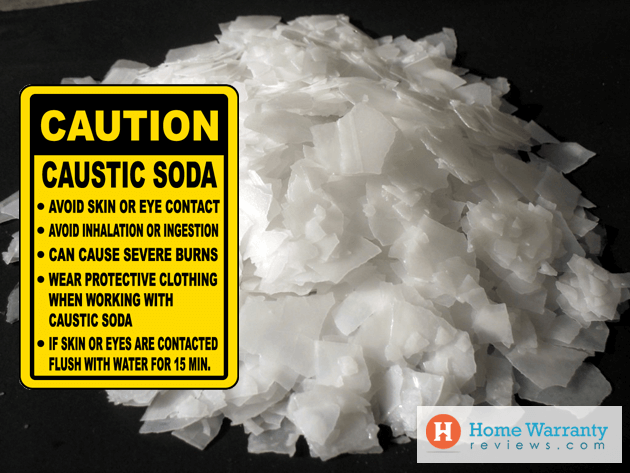 Caustic soda also called Sodium Hydroxide is a chemical that can dissolve glug in the drain pipe. Use this method if you don’t have access to a drain snake and none of the prior methods have worked. This method requires caution. 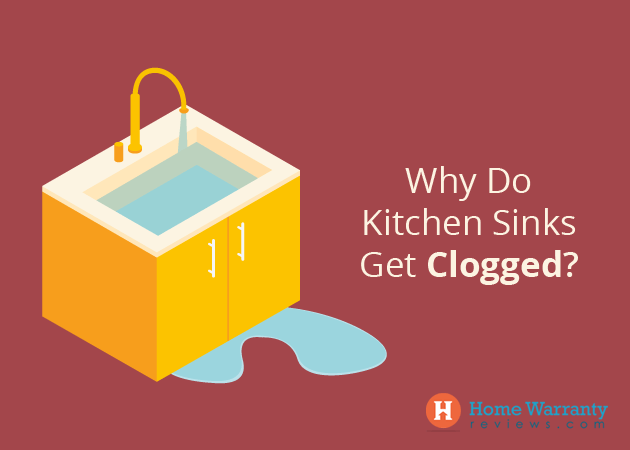 How to Maintain Your Kitchen Drain and Prevent Clogs? Having heard “prevention is better than cure” all through your life, it’s time to put it into practice with your kitchen drain. Clogs can be a nuisance. It takes time to clean a clog, especially if it is deep inside your drain line. The best way to avoid your kitchen drain from clogging is by maintaining it. Follow these four easy maintenance steps to prevent your kitchen drain from clogs. Pour a little bleach into your sink every 3-4 months and let it sit for at least an hour (it works better when you leave it overnight) before you let hot water down the drain. Once in a while, squirt some dishwashing liquid down your sink and pour a little bit of boiling water down the sink in intervals of 1 minute. 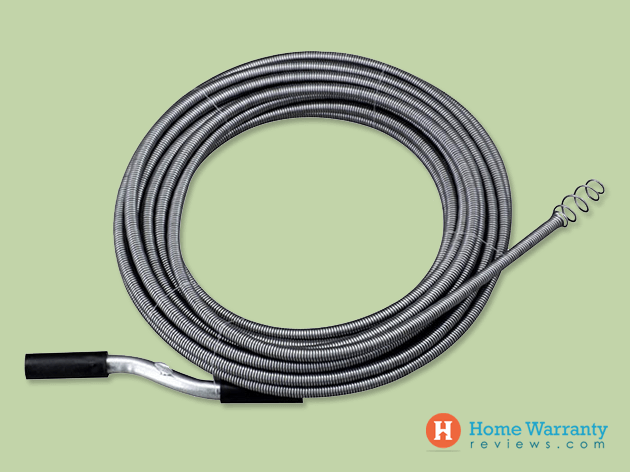 This will dissolve grease and oil that is deposited along the walls of the drain. 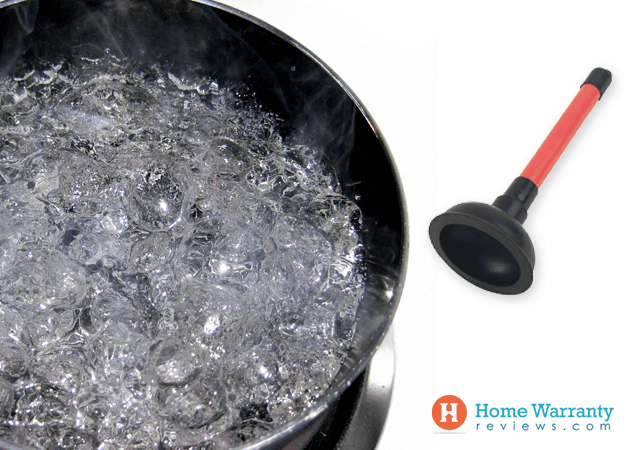 You can also use a drain cleaner if the water is draining slowly. There are two types of drain cleaners – liquid drain cleaners and crystal/powder drain cleaners. Put on a pair of goggles and rubber gloves (that go beyond your wrists) and preferably a face mask as well. For crystal/powder drain cleaners: Empty the standing water from the sink with a cup and a bucket. 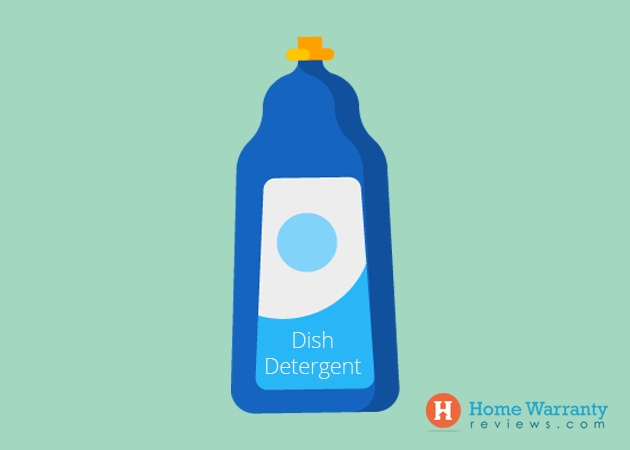 Add 1-3 tablespoons of the drain cleaner into the drain and follow it with one cup of cold water. Let it sit for 30 minutes and then flush it down with cold water. 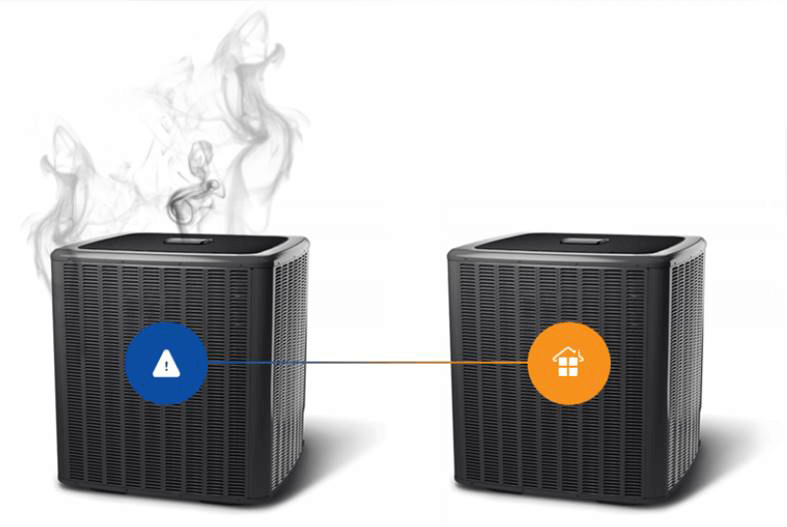 There’s one other thing apart from maintenance that can help you prevent a clog, and that is to avoid the root cause. 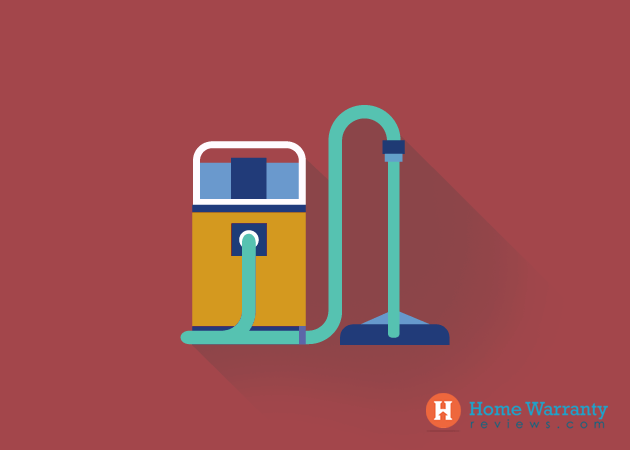 Follow these few preventive measures to ensure that your kitchen drain is clog-free. 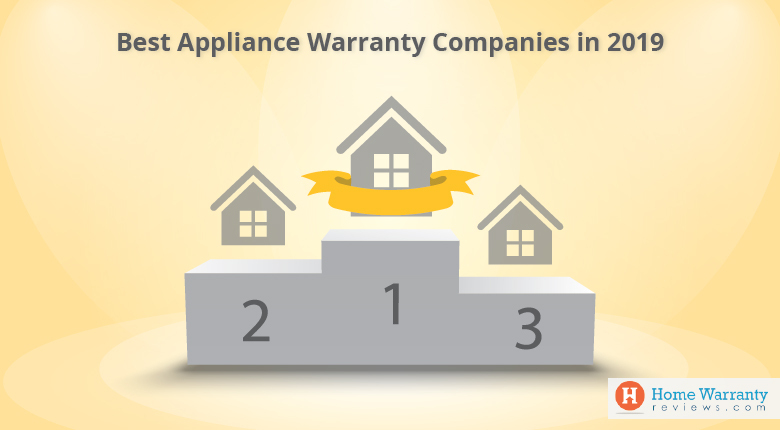 A home warranty covers the cost of repairs and replacements of home systems and appliances that happen due to regular wear and tear. Almost all home warranty policies include plumbing related issues. However, the problem should not be caused due to lack of maintenance by the owner. 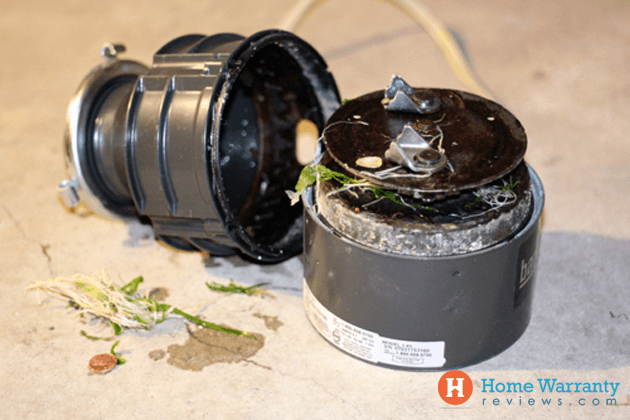 Issues like plumbing stoppages, clogs etc, along with repairs related to other systems and home appliances are covered under home warranty policies. 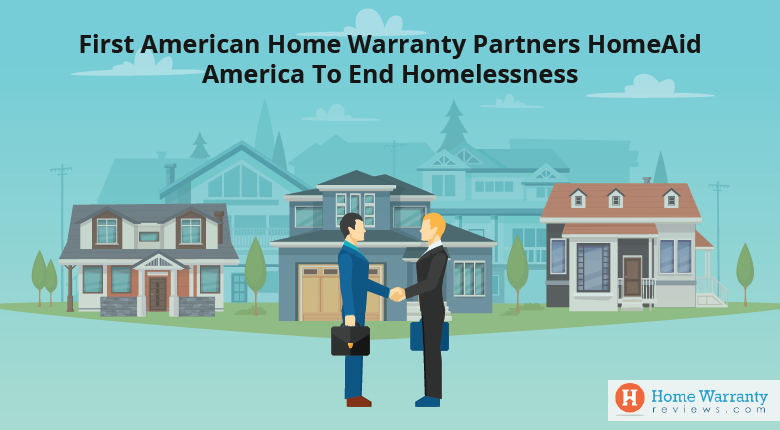 If you have been shelling out a considerable amount of money on the repair work, a home warranty will definitely help you cut down on your costs. However, here are some things that you need to know before you invest in a home warranty policy. 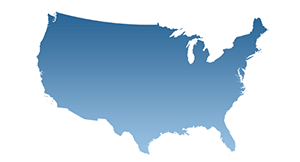 HomeWarrantyReviews.com provides homeowners with a platform on which they can read and research about home warranty companies. Apart from reviews, we make research easier by handing out awards to home warranty companies on the basis of certain attributes. We have also made a list of companies that have gone out of business to make sure that homeowners are aware of the companies that no longer provide service. Prev Post:Why Circuit Breakers Keep Tripping? Next Post:How To Clean Oven Racks?